Teen models are shot completely differently than other models. Teen model photographers either specialize in exploiting them, or getting them signed to an agency. There aren’t many of the latter! Experience with teen models getting signed. 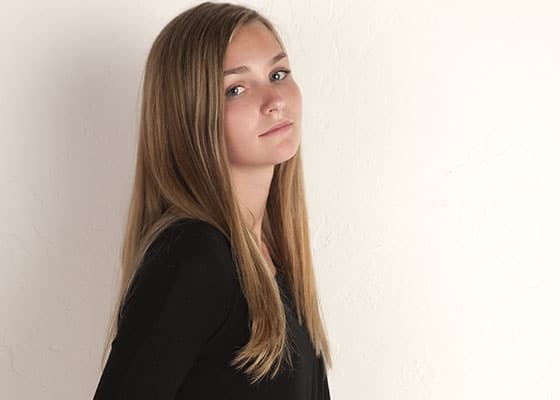 A good teen model photographer also works well with parents to ensure the teen’s (and her parents’) true goals. Learn about the nation’s top shoot for modeling portfolios! Age appropriate shoots for teens. Over 3000 models and actors helped. 14 – 17 are the prime ages for getting teen models signed. Top agencies invest into talent they feel may make them money once they gain experience, and they sign them early to keep them from winding up with competing agencies. Some will front funds for housing, travel, food and your book. Others may require you to invest is some of those things yourself. Once signed you may wind up in New York, start working on your book, and once 16 you may start working on the Fashion Week circuit traveling to cities like Paris, London and Milan – and it can be done without compromising your education. To be viable for this type of career you need both the looks, and to be growing at a pace likely to reach 5’9″, or taller. Beginning as a teen model can be the start of an exciting and rewarding career, if you keep your wits about you and have proper support. Junior models is not really a modeling category or genre. It means you model fashion and accessories for the junior floor in department stores, or junior chains (including online retailers). There are two types of teen models: Those that are destined for careers, and those that won’t reach the requisite height, but may make great junior models until they mature out of the genre. Becoming a model as a teen gives you a huge advantage as the major agencies greatly prefer signing talent at younger ages. (Be sure to read Get Signed). But many careers are short, or may not even ever become productive. Getting an education along the way is extremely important. As is parnetal support and guidance. You need a big modeling portfolio: All you really need to do is to walk into a proper agency. If they believe in you, they will help you get images you need. Modeling schools give you an advantage: Modeling schools are one of the oldest and most profitable “scams” in the business. Unless you have what it takes, they cannot help you. If you do have it, agencies will recognize it. Modeling conventions are where you get signed: While it’s true that many top agencies attend these conventions, and why wouldn’t they when there are so many models attending? However, you can simply go to an open call, or submit your Polaroids to the same agencies online. There are also truths to keep in mind: Chances are you won’t make it. Many agencies, and almost all schools are scams. Some teen models start partying at way too young an age, similarly, the same girls tend to not find successful careers in spite of having the talent. Our shoots are age appropriate for images that help you get signed. That is “age approriate” as definined in modeling. If you consider being photographed in swimwear risque, they are not for you. Neither is fashion modeling. What genre you fit into. How to pose and take direction. How college can affect your success as a model. How to stay out of trouble, especially once 18. Most importantly; what steps to take to get signed. We encourage every teen model to get educated and be prepared for failure. When looking for a teen model photographer, you need not look further. Laurens is the top teen model photographer in the business!